Here’s the link to the video for Hole in my Heart!!! Romantic Fiction is my third digital album. The title is ironic. It’s a pop art title really: in the end, romantic fiction is the pop art of literature. Pop music is the romantic fiction of music. And it’s all fiction. All the songs are written by me. I divide things into ballads and boogie, really because after playing the dance floor for a long time, that’s what you get in pop. Grooving or smooching or both. There’ll be some other name for it now, I’m sure. The first three tracks are disco tracks where disco just means dance. The second three tracks are ballads. That means they’re slow. I wrote the songs, put them onto or transcribed them into Sibelius, the computer programme, with the help of Kieran Marshall, I then saved it as MIDI and plugged it into Dave Thomas’ studio DAW in this case Cubase 7.5. Then we created the synthesised sounds from various systems e.g. Omnisphere, amongst others and I over-dubbed my vocals and guitars with Dave doing the production engineering. As far as I can see the songs are urban contemporary, swivelled towards American-style R&B pop, with a bit of Englishness thrown in. 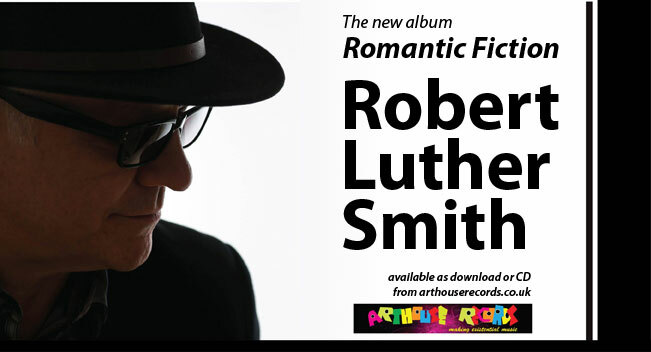 My new album is Romantic Fiction….